To beat the heat, our near ancestors loved to sleep outside in the fresh air or as close to outside as could be practically managed. 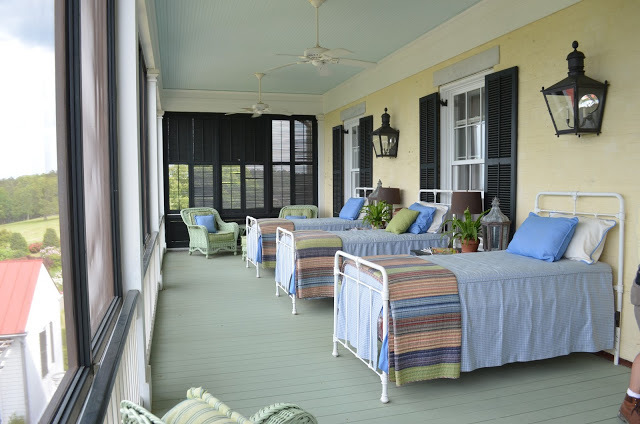 Thus was born the sleeping porch or sleeping balcony–a large second floor porch, often screened-in, and usually located at the back of the house. My two brothers had bedrooms on the third floor of the house where we grew up. Come July these rooms became as hot as cauldrons. So in mid-June, they would move to our sleeping porch. Sleeping porches reached the height of their popularity in the years prior to World War I when houses in neighbourhoods like Wolseley and Crescentwood were just being built and sold. 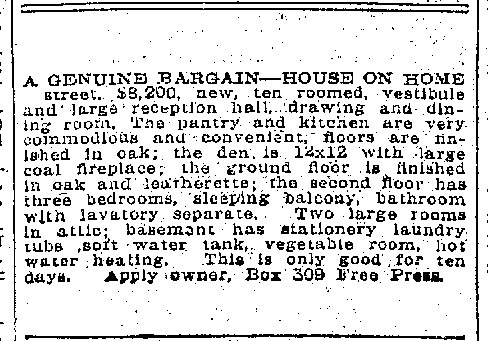 A sleeping porch was a definite selling feature as this ad from the Winnipeg Free Press from 1913 shows. Increases in lot size after World War II meant that there was less need for sleeping porches in the new suburbs. The sprawling ranch bungalow with bedrooms on the main floor and in the basement dealt with the problem of heat rising and pooling on upper floors. That coupled with the advent of air-conditioning in the 1960s dealt a fatal blow to the sleeping porch. But there was something magic about the sleeping porch and I envied my brothers for being able to sleep there. If you could sleep in a tree house, the experience would be similar—up high, surrounded by night sounds, with the moon and stars close, and with bird sounds all around you as the sun came up. 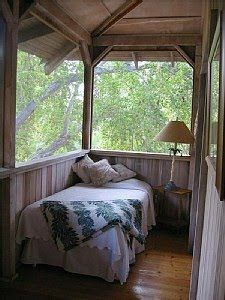 Here’s a modest sleeping porch. And this one is a little fancier.